The government has banned evening prayers popularly known as “kesha” in Narok County. 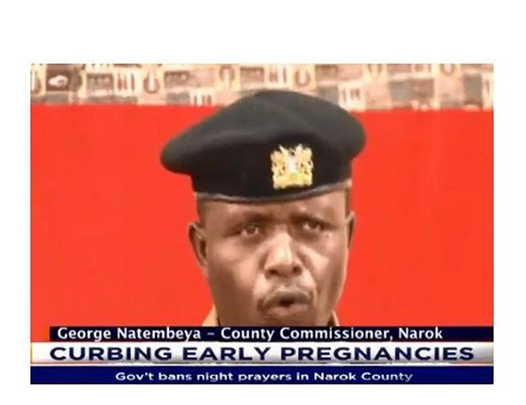 Narok County Commissioner, George Natembeya, made the directive following rising statistics of early pregnancies among school going teenagers in the county. The county commissioner was speaking at an affirmative action campaign during which bursary cheques were issued to students from various institutions. Early last month, 17 girls from Suswa Girls Secondary School in Narok County were found to be pregnant. 0 Response to "To curb teenage pregnancy, Kenya bans night prayers"